The Deputy Director of the General Sales Tax (GST) Department in Belize has been remanded to prison for the weekend shooting of an Ambergris Caye resident. 40 year old Reynaldo Verde of Belize City has been formally arrested, charged and remanded to the Belize Central Prison after he was identified in the shooting of 29 year old Allen “Ajay” Martinez of a Tarpon Street address in San Pedro Town. According to police, Verde was detained following a shooting incident on Sunday March 31st that occurred shortly after 8PM at a social event at the Holiday Hotel located on Barrier Reef Drive. According to the Superintendent of Police, Luis Castellanos, Officer in Charge (OC) of the San Pedro Police Station, they visited the Dr Otto Rodriguez San Pedro PolyClinic II, where they saw Martinez with a single gunshot wound to the left hip that exited the buttocks on the left side. Initial investigations revealed that Martinez was socializing on the deck of the Holiday Hotel with some other friends when he accidentally bumped into Verde and an altercation ensured. According to police, Verde took out his licensed 9 millimeter (mm) Luger brand gun and fired a single shot towards Martinez causing his injuries. In speaking to The San Pedro Sun newspaper OC Castellanos said that a 9mm slug was retrieved from the scene. A 9mm pistol along with a magazine containing seven live rounds of 9mm ammunition were also found in the room belonging to a suspect they had detained. Police Press Office later confirmed that suspect to be Verde. 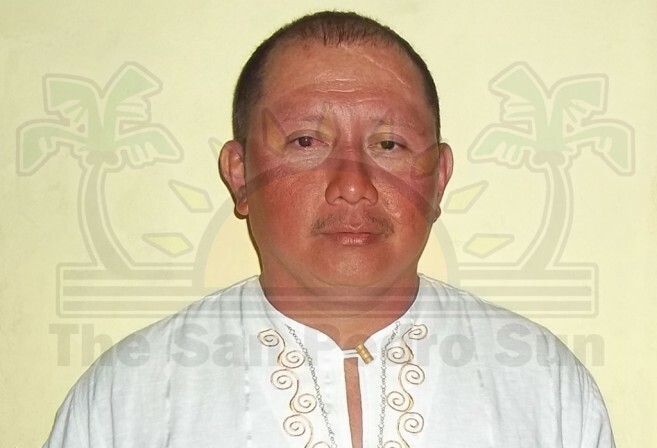 Verde appeared before the San Pedro Magistrate court where he was read a single charge for dangerous harm before Magistrate Sherigne Rodriguez on Wednesday April 3rd. Police Prosecutor Sergeant Raymond Berry objected to the bail when requested by the accused Attorney Michael Peyrefitte (Speaker of the House of Representative in Belize). Sergeant Berry pointed out to the court that it was not the first time Verde has been before a court for a similar offence and because the nature of the crime involves a firearm, bail should be denied. After a short break, Magistrate Rodriguez returned to the courtroom where she explained to Verde that due to the nature of the crime, the request for bail was denied. Verde has since been remanded to the Belize Central Prison until his next court appearance scheduled for May 10th. Verde is legible for Supreme Court bail before his next court date. It is not the first time that Verde has been before the court on similar offenses. In November of 2004, Verde was arrested and charged for attempted murder, aggravated assault, use of deadly means of harm and discharging a firearm in public after he shot Jose Nuñez inside MJ’s Nightclub on Newtown Barracks in Belize City. At that time Verde got into an altercation with Nuñez where he pulled out his licensed weapon and shot Nuñez in the left arm. According to police, more charges are expected to be served on Verde as the police are yet to get further directives from the Office of the Director of Public Prosecution. As for Martinez, he remains hospitalized in a stable condition at the Karl Heusner Memorial Hospital (KHMH).